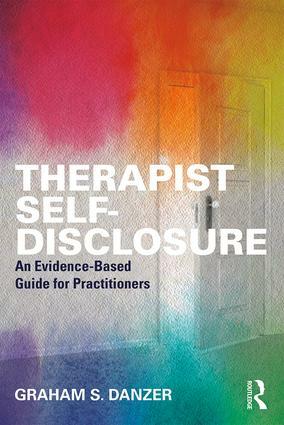 Therapist Self-Disclosure gives clinicians professional and practical guidance on how and when to self-disclose in therapy. Chapters weave together theory, research, case studies, and applications to examine types of self-disclosure, timing, factors and dynamics of the therapeutic relationship, ethics in practice, and cultural, demographic, and vulnerability factors. Chapter authors then examine self-disclosure with specific client populations, including clients who are LGBTQ, Christian, multicultural, suffering from eating disorders or trauma, in forensic settings, at risk for suicide, with an intellectual disability, or are in recovery for substance abuse.This book will very helpful to graduate students, early career practitioners, and more seasoned professionals who have wrestled with decisions about whether to self-disclose under various clinical circumstances. Therapist Self-Disclosure: For Better and For Worse?